Air ducts serve several different purposes in the home. Some provide fresh air to the house, while some are utilized with other appliances. Do you know where the air ducts in your home are? A lot of people may not be aware of all of them, and most of the time, you don’t need to be - they just work. But if something goes wrong, it’s very helpful to be aware of their location. The more details you know about your home, the better equipped you are to look after it for years to come. Here are the three most common air ducts you’ll find around your home. The hood over your stove is equipped with an air vent and duct. This is a high stress area, as grease and dirt accumulate every time you use your stove. Over time, the exhaust may become less effective in removing smoke and fumes from the kitchen, as it can get clogged up inside. These provide fresh air to your home. If they get too dirty or dusty on the inside, you may experience poor air quality or unpleasant smells in the home as a result. Inadequately maintained ducts may have an effect on your health and your productivity in this way. 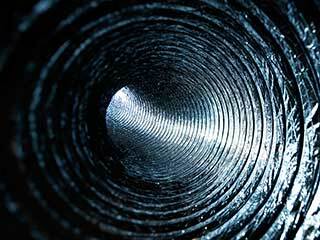 It’s an easy problem to avoid - having your air ducts cleaned regularly by professionals will eliminate these issues. The vent and air duct attached to your dryer are subject to hot air and dust frequently, which over time wear them down and decrease their efficiency. We can clean it out for you - and make sure they work the way they’re supposed to. Your home deserves to be maintained in the most effective way possible, and that includes the details such as the air vents. Our professionals provide the best services to our local customers, and we can keep your air ducts clean and functioning.